The new Loftway report is out. Please take a look HERE and find out what happened to Downtown LA Real Estate in 2018. The new Loftway report is out. Please take a look HERE and find out what happened to Downtown LA Real Estate in 2017. Is 2018 the year you’ll finally realize your dream of buying a Loft? If you’d like to make that dream a reality, start planning now so you’ll be ready in the New Year. Here’s what you need to do to set yourself up for your 2018 Loft purchase. The first, and most important, thing you should do as you prepare to buy a Loft in the coming year is to check your credit. Your credit affects your ability to qualify for a loan and the kind of interest rate you’ll get. The better your credit, the more favorable your loan conditions will be. Even if you think you have excellent credit, you need to request your report. Many credit reports contain errors, and you’ll need time to address them and have them removed. And if your credit isn’t great, you can start putting measures in place to repair it. When Santa asks you what you want for Christmas this year, tell him you want cold hard cash. All kidding aside, though, consider how much cash you’ll need for closing. Not only do you need money for the down payment – up to 20 percent of the purchase price – but you’ll also need to save for moving expenses, repairs and other unexpected costs. If you are expecting to receive gifts for the holiday, ask for financial contributions toward your Loft purchase. Before you begin looking at Lofts in earnest, you need to determine your price range. Use an online calculator to plug in your details and find out how much Loft you can afford. And remember while it’s always fun to fantasize about your dream Loft, you’ll want to be realistic about how much you can comfortably spend each month. Committing to expensive mortgage payments that you have to stretch to make each month is stressful. You’ll enjoy your new Loft more if you aren’t worried about staying current on your loan. The fun part of looking for a new Loft is researching neighbors and getting a feel for where you want to live. If you live close to the area where you want to move, drive around some neighborhoods, and see them at different times of day. If you don’t live nearby, take a virtual tour with Google Earth and scour the web for information. Start making a list of what you’re looking for in a community, and see which ones fit the bill. If you’re happy with your credit score and you’re ready to begin your search, then it’s time to get preapproved for a loan. Take time to research lenders and find the best rates and terms. Getting preapproved for a mortgage shows sellers that you are serious about buying a Loft. It’s essential that you get a preapproval letter once you’ve determined you’re ready to start putting offers on Lofts that fit your needs. Whether you’re buying or selling a Loft in Los Angeles, you’ve probably considered whether or not it’s really necessary to work with a professional real estate agent. With so much information available online, isn’t it possible to go through the process alone? While working for yourself may save you commission fees, it could end up costing you more in the end. Here are some of the most important reasons why we think it’s valuable to work with a professional. Pricing a Loft is a little like playing Goldilocks. You don’t want to price too high or your Loft will languish on the market. You don’t want to price too low, or you’ll lose out on a better deal. You do want to strike the perfect balance and price it just right. A professional real estate agent will have expertise in the local market and knowledge of neighborhood comps. They’ll help guide you to choosing the perfect listing price for your Loft. Buying or selling a Loft in Los Angeles generates a high volume of paperwork. This includes purchase agreements, disclosure statements, inspection reports and so much more. It can be time-consuming and intimidating to pore over each document. A professional real estate agent deals with paperwork every day, and can help you navigate through and stay on top of all the documents that need to be read, signed and processed. Negotiating is a learned skill, and professional real estate agents practice it every day. Negotiating on your own behalf can sometimes be difficult, especially if you’re emotionally connected to the Loft. An agent can maintain professional detachment and treat the process as a business transaction. Although the Internet has made it easier than ever to list and browse properties for sale, it doesn’t take the place of having an agent assist with your search. A professional real estate agent will be connected to a network of other agents and have easy access to property listings. They can quickly perform searches to find Lofts in Los Angeles that meet your criteria, call the listing agents and set up appointments for viewing. If you’re selling, an agent can field these calls for you, make appointments and answer questions. There’s nothing worse than getting all the way to closing day and have the deal fall through. Watching all those weeks and months of work just disappear can be frustrating. 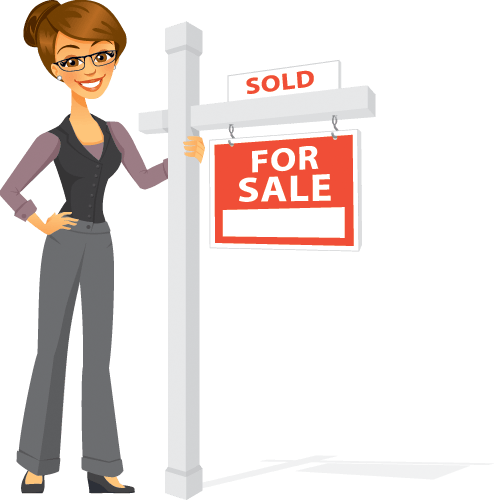 A good real estate agent will know what kinds of problems to look for and will be prepared to handle them before they become issues. This could include making sure the title is clear and that the lender will meet the deadline for financing. They’ll also stay on top of all the professionals involved in the process, to ensure that everything is moving forward on schedule. Though technology has made it easy to gather information about buying and selling Lofts, it doesn’t take the place of a professional real estate agent. Having an expert in your corner can help mitigate much of the stress of the sale, head off potential problems and get you the best deal for your Loft. You are currently browsing the archives for the Loft Sales category.